﻿ Cristiano Ronaldo: "Real Madrid and Manchester United are the best clubs in the World"
15.01.2013 » Cristiano Ronaldo: "Real Madrid and Manchester United are the best clubs in the World"
In a recent interview conceded to FIFA, Cristiano Ronaldo confessed to be happy for having had the opportunity to play for the two biggest clubs in the World: Real Madrid and Manchester United. The Portuguese ace also stated that he intends to honor his contract with Real Madrid, which would mean that the Santiago Bernabéu will continue enjoying Ronaldo's magic in the years to come, or at least until 2015. Cristiano Ronaldo: "Real Madrid and Manchester United are the best teams in the World and that's why it is always so hard to have success in them. They have a lot of good things, but also a few negative ones... I'm feeling more pressure in Real Madrid than what I had in Manchester United. One of the reasons for that being is probably related to the desire of the club to finally win the 10th UEFA Champions League. That fact single-handedly generates a lot of anxiety, which is felt in different ways and in several moments of the season", started by pointing out the Portuguese captain. Winning the Champions League is probably the main priority in the Merengues agenda for this season. However, everyone knows how hard such an objective can be, especially when there's such a big clash coming up right in the last-16 stage, as it will be the Real Madrid vs Manchester United tie. Ronaldo: "Winning the Champions League is obviously a priority for us at this point of the season. That's the title all our fans look forward to celebrate and the players are well aware of that! We've been close last season, but it was frustrating to go out the way we did... Fortunately, we have a chance to redeem ourselves this year, with an even higher level of difficulty since we're facing Manchester United on the next round. It's not going to be easy and in my opinion, the chances for each team to go through right now are split 50-50. I'm confident we'll reach the competition's quarter-finals though...", stated the 27-years old, when anticipating the exciting UEFA Champions League round between Real Madrid and Manchester United. Despite the poor performance in La Liga so far, the Merengues appear to still draw some favoritism to win the Champions League around several sportsbook companies. Barcelona is on the top of this ranking, with a 3.20 payoff, then comes Real Madrid with 5.00, followed by the Merengues' black beast last year, Bayern Munich, with 5.75. Manchester United is surprisingly seen as an underdog right now, listed on 6th and paying 15€ for every euro invested in the Red Devils lifting the Champions League trophy in May. Cristiano Ronaldo: "There are no invicible teams in sports, but when we manage to find our best form, we can become really strong. However, we can't also forget that Manchester United had a great start in the Premier League this season, which granted them a very comfortable lead. But if we do play at our best, I'm confident we can beat them! For that to happen, we have to play as a true team, just like we've done in numerous occasions in the past", previewed the FIFA Balon d'Or 2012 runner-up. Regarding all the controversy and contestation against José Mourinho, Ronaldo sticked by his side and claimed he is indeed the best coach in the World. 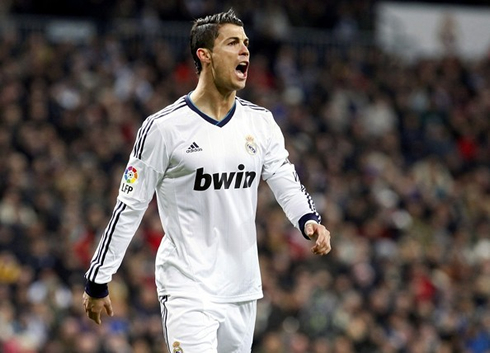 Ronaldo: "People tend to manifest their feelings in their own particular way and we have to respect everyone's opinion. However, the fans have to be patient, because I'm sure that Mourinho is always looking for the best to the club and he'll defend Real Madrid with all his strengths. Everyone who works with him knows that's how he is, but we all also have to respect how the public decides to react. In my opinion, Mourinho is the best coach in the World, simply because he is someone with a lot of experience and who already won everything he had on his reach", defended CR7. As for the critics that Ronaldo also often receives througout the season, he confesses that sometimes it becomes hard to understand them, but with time, he has learned to respect them. Cristiano Ronaldo: "I'm never able to grant a 100% correct answer to this issue. Whoever knows me or has played with me, knows the kind of person I really am. In the other hand, those who don't know me are free to say whatever they want and think of, because even though I respect their opinions, I also know that what they say about me isn't true. We have to learn how to live with this reality, because that's part of the life of a football player. 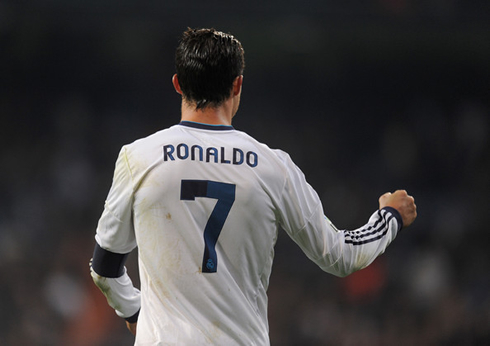 Actually, it's part of anyone's life...", remarked the Real Madrid main star. Ronaldo: "I want to honor my contract with Real Madrid and that's what I'm sure about. After that, I don't know what will happen in the future...", stated the Portuguese player, who is contractually bound with Real Madrid until 2015. When it came to make an introspective analysis on the path he followed to become the player he is today, Ronaldo didn't hide that he has always had some talent, but that he had to work a lot to reach the level where he is today. Cristiano Ronaldo: "I think I've always had the talent, but I know I've always worked really hard to accomplish my goals and objectives. We have to be humble enough to understand exactly what we need to improve at and then go forward with getting better at it. During my whole career, I've always looked for perfecting my game, my skills, developping as a player and winning trophies. I'm very ambitious because I always want to win no matter what, and that's how I will continue to be until I retire from football...", promised the best Portuguese football player of all-time. Before finishing this interview to FIFA, Ronaldo conceded a couple of minutes to talk about his son, Cristiano Ronaldo Jr. CR7: "My son's birth was the best moment in my life. I'm really proud of him and I feel very accomplished and happy. I won't try to dictate his future in terms of what he'll do for a living. If he wants to be a football player, then of course I'll support his decision and do my best to help him out. However, that will be his decision and I won't attempt to influence it...", revealed Ronaldo, when asked if he would like to see his son following his footsteps as a football player, once he starts growing up. 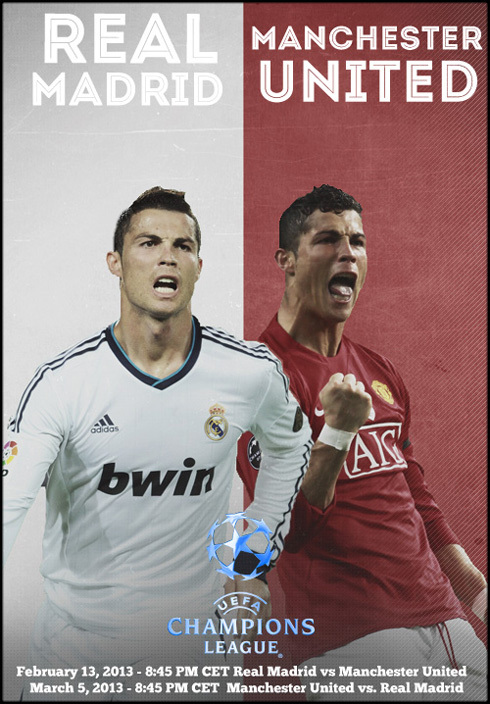 Cristiano Ronaldo is expected to be a starter in Real Madrid next game against Valencia, for the Copa del Rey, on January 15, 2013. You may watch Real Madrid vs Valencia stream, Barcelona vs Malaga live, Manchester United vs West Ham live streaming and Arsenal vs Swansea, all matches provided from our soccer live streaming section.